When creativity meets business…they don’t always hit it off. Opposite worlds, right? Enter Lisa Jacobs, a marketing consultant for creative entrepreneurs who turned $100 in supplies into a viable work-from-home biz. Her authentic marketing—seriously, visit her site and you’ll feel like you just met her for coffee—and entrepreneurial spirit helped make her a top-earning Etsy® storefront owner. 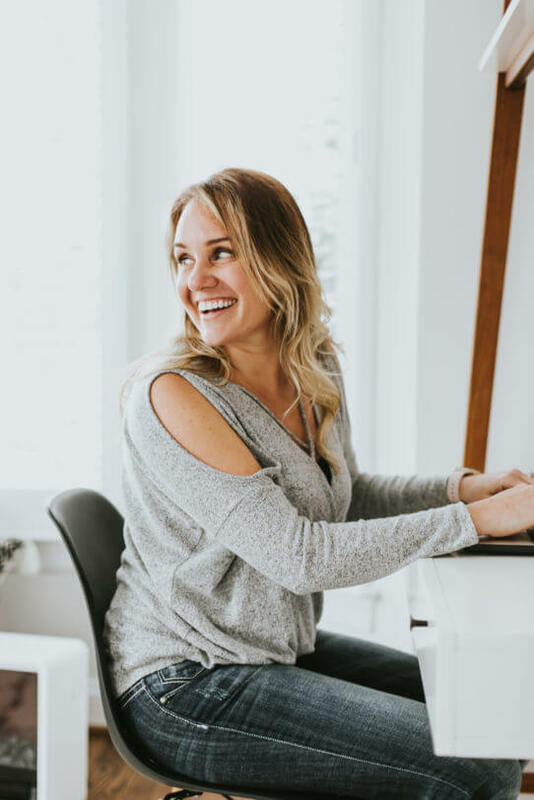 Good news for the rest of us: Jacobs shares her insight and her energy through newsletters, blog posts, workshops via Marketing Creativity and through The Luminaries Club, a private space for creative entrepreneurs. 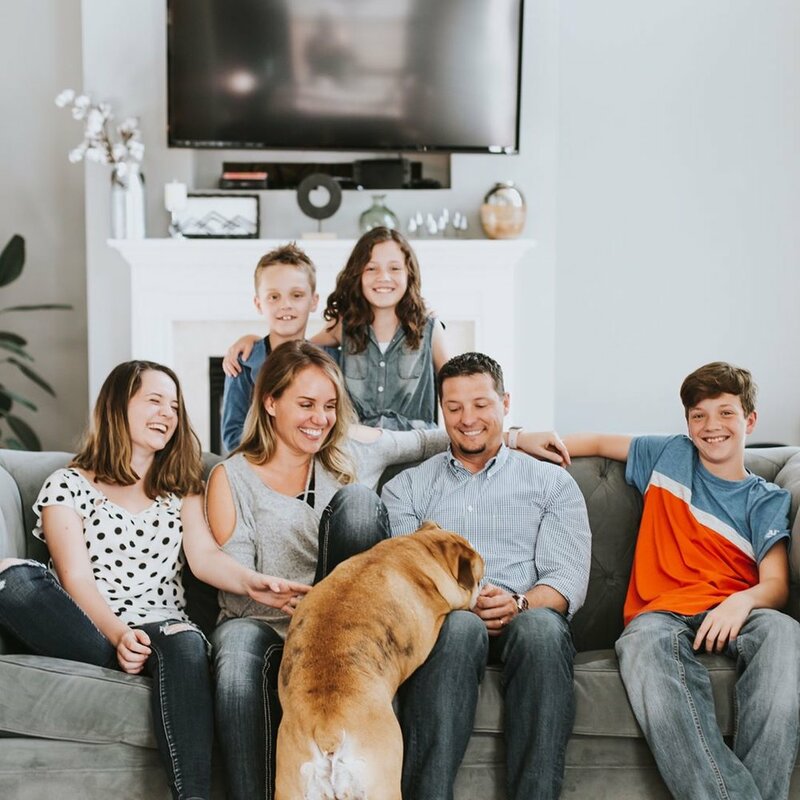 Learn how Lisa has built a calm morning routine with four kids in the house, why she fills out her to-do list in the morning and what she does first thing when she wakes up. I’m a morning person, but I love to hit the snooze button. I get up around 6:00AM and do my best work between the hours of 8:00 - 10:00AM. I’m excited about my last book that launched, Marketing Playbook: Scale Your Online Business to Outrageous Success. It hit the market earlier this year, and thousands of entrepreneurs are seeing their business in a whole new light! Now, I'm working on promoting my latest book: Your Best Year 2018: Productivity Workbook and Online Business Planner. What are your current sources of inspiration? I’m in love with Instagram, but I get overstimulated by tons of visuals, so I only follow people whose work or style I deeply admire. How do you maintain sane morning and evening routines for yourself, while raising four children? We have followed schedules. I feel it gives my children an added sense of security. They always know what needs to be done and when, and that makes them calm—which I love. Since they were little, they knew what time to get up, and what time to eat breakfast, what time to be ready for school, when they need to do their homework, what time we eat dinner, what chores are their responsibility each day, and when to go to bed. My home is anything but chaotic or stressful. In fact, when people come visit, they find themselves relaxed and rested because of our calming routines. You are the queen of efficiency and productivity. You run The Luminaries Club and have the prettiest to-do lists and planners we’ve ever seen! What is your #1 tip you’re willing to share with people to stay efficient, productive, and balanced? Like my children, I keep to a schedule so that I always know what needs to be done and when. My #1 tip is to take the time to organize this for yourself. If you don’t schedule the work that matters each day, it simply won’t get done. What intention do you live by? That’s ringing very true for me at this stage in my life. I’ve listening to podcasts in preparation for the one I’ll soon be launchin this year! I’m currently reading Secrets of Six-Figure Women by Barbara Stanny, and I’m currently watching (and forever obsessed!) with the Real Housewives on Bravo TV. 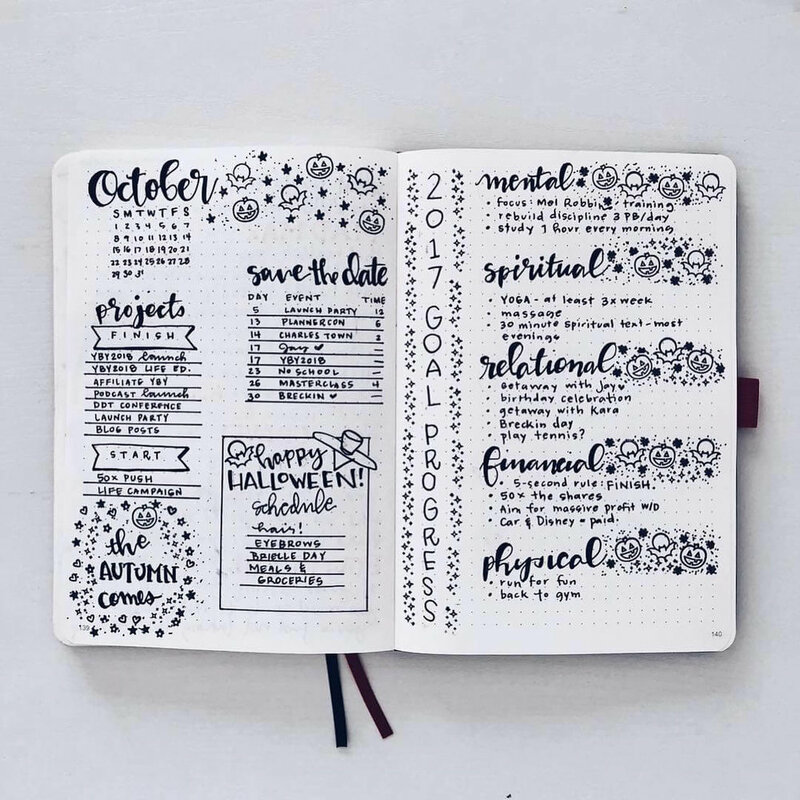 Do you fill out your planner in the morning or evening? Why? I make lists in the morning because it stresses me out to do them at night aka when I can do very little about getting things done. Instead, I draw in my planner (all the spreads and pages of my bullet journal) at night because drawing relaxes me. Fill in the blank: I (usually) eat ________ for breakfast. I (usually) eat eggs and avocado for breakfast. What’s your go-to morning drink? I love coffee, and I chase my morning cup with a green smoothie made of spinach, ripe banana, almond milk, and blueberries. What do you read first thing in the morning? I read whatever book I’m studying. I avoid electronics before work, so I leave a physical copy of the book out the night before so it’ll be the first thing I grab in the morning. Do you use any apps or products to make your mornings easier? I keep detailed lists of what has to get done that day and in what order. Prioritizing my tasks in this way makes every day more productive. What are your morning essentials? Coffee, books, and journals must be in reach when I wake up. You previously owned a popular Etsy store that sold gemstone jewelry and feng shui supplies. What gemstones do you recommend for a good morning? I love sunstone for its joyful attributes and clear quartz for clarity and cleansing. Follow Lisa's crazy productive life, pretty planners and marketing advice on Instagram, Facebook, Twitter and her website. Don't forget to get a copy of her latest book on her shop here. Want more morning inspiration? Be sure to read our other morning and evening interviews.